Join John Walp, President of Converje, as we discuss trends in both formal and informal employee performance management systems, including approaches to CEO evaluation. We’ll explore models that work well in real organizations, and ways to select what works best in various organizational cultures. You will walk away with an understanding of how effective performance management systems differ from once-per-year “paper” processes and some helpful ideas on how to replace or fine tune the system you currently have. According to the popular press, employers are abandoning formal performance evaluation in droves, and the world is better off without it. The reality is not so simple. Join John Walp, President of Converje, as we discuss trends in both formal and informal employee performance management systems, including approaches to CEO evaluation. We’ll explore models that work well in real organizations, and ways to select what works best in various organizational cultures. You will walk away with an understanding of how effective performance management systems differ from once-per-year “paper” processes and some helpful ideas on how to replace or fine tune the system you currently have. Attendees will gain an understanding of how effective performance management systems differ from once-per-year “paper” processes. Attendees will learn helpful ideas on how to replace or fine tune the system they currently have. John Walp strives to provide respectful and meaningful insights by leveraging his experiences as a non-profit Board member, an advisor to non-profits and a former chief HR officer. He is the President of Converje, LLC, which he founded in 2004. With over 30 years of compensation and human resources design experience, John leads the strategic design and delivery of practical, results-driven programs, custom-built for our clients’ success. John has served more than a dozen nonprofit organizations since founding Converje. John is an adjunct professor at Drexel University where he teaches a graduate level course in Human Resources Management geared to Arts Administration students. He formerly taught in the MBA program at Saint Joseph’s University, and has spoken on team-based pay for the International Quality and Productivity Center, on executive compensation for Temple University, and the role of technology in HR for Cornell University. John has co-authored articles published in the Benefits and Compensation Digest. He received his Bachelor of Science Degree in Industrial and Labor Relations from Cornell University. John serves the non-profit Thomas Jefferson University and its 14-hospital health system as an active member of its Board of Trustees. He is Chairman of the Board’s Compensation & Human Capital Committee governing Executive and Physician pay system-wide, and he serves on the Board’s Executive Committee. Strategic Performance Measurement and Management in Nonprofit Organizations, Robert S. Kaplan, Nonprofit Management & Leadership, 11(3), Spring 2001. Key Performance Indicators for Government and Non-Profit Agencies: Implementing Winning KPIs, David Parmenter, Wiley, May 1, 2012. Coaching Skills for Nonprofit Managers and Leaders: Developing People to Achieve Your Mission, Judith Wilson and Michelle Gislason, Jossey-Bass, Pap/Pas edition 2009. Human Resources Management for Public and Nonprofit Organizations: A Strategic Approach (Essential Texts for Nonprofit and Public Leadership and Management), Joan E. Pynes, Jossey-Bass, 4th edition 2013. "Evaluating the Executive Director: Your Role as a Board Member"
"Managing the Nonprofit CEO Transition: The Board’s 6 Tasks"
"What Sets Successful CEOs Apart"
"The Nonprofit Board's Role in Onboarding and Supporting a New CEO"
"When Board Members Just Don't Get It"
BoardSource has a wealth of helpful information at: "Executive Evaluation and Compensation"
Small Improvements is geared to small employers and has some pretty sophisticated tools. Plus they have really deep discounts to very small nonprofits. You should check them out, not just for goal cascading but for performance management as a whole. MyStrategicPlan.com: Although it’s not free, this package looks particularly nice, and the pricing looks pretty reasonable. The package stores all the important elements of a strategic plan and the goals and action plans needed to accomplish it. You might want to check out the demo. 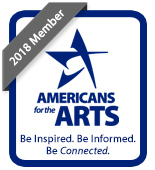 For our final Member Briefing of 2018 we will be joined by Americans for the Arts President and CEO, Bob Lynch. Join us as Bob reflects back on 2018 and talks about the trends impacting the sector and the direction for the new year. This two-year capacity-building initiative, funded by the Pennsylvania Council on the Arts, aims to support, strengthen and advance the arts marketing and audience engagement skills of the commonwealth’s arts and cultural professionals. Assist Pennsylvania-based arts and cultural organizations achieve increased and engaged audiences on a consistent basis through skill-building in the areas of arts marketing and audience engagement. Assist arts and cultural organizations–particularly those within diverse communities–in attracting and retaining expanded audiences. 2019 marks the third, two-year training cycle for this initiative, which will begin in early summer of this year. Arts professionals who reside in Central or Northern Pennsylvania and work at arts and cultural organizations in this region are invited and encouraged to attend a free, two-hour, in-person information session to learn what is required to complete a successful application. Program details, selection criteria and the application process will be covered. A digital informational session will be available for those who cannot attend in person. Please confirm attendance by clicking the "register" button in the top right. This initiative is funded by the Pennsylvania Council on the Arts. Women often sell themselves short—what Sheryl Sandberg, author of Lean In calls the “leadership ambition gap.” In this interactive workshop, we break down why that gap exists, and how women can move past the obstacles to set and achieve more ambitious goals for themselves. This workshop creates a motivating space for workshop participants to investigate what being more ambitious about their career goals would mean for them—and to leverage both their left and right brain in aiming higher. At the same time, they’ll learn to avoid burnout by working smarter not harder and building lasting value for themselves through the investments of their time. Participants will set next-level career goals for themselves and learn practical strategies for achieving them, marshaling the support of others. This session is open to people of all genders, but will focus on some unique challenges women can face. Mia Scharphie is a creative career coach, a designer, and an agent of change. She founded Build Yourself to help women in creative fields move past the obstacles that hold them back in in their careers. Mia is a trained facilitator and has worked on women’s advocacy for over fifteen years. She’s run a research effort on women in social impact design for the Harvard Business School, is a founding member of the Equity Roundtable at the Boston of Architects, and was named as one of Impact Design Hub’s Social Impact Design 40 under 40. She runs socially impactful design projects through her design consultancy, Creative Agency, and teaches women how to get more of what they want in their careers and businesses through Build Yourself’s training programs. She’s been called a 'cheerleader with devil's horns'—lovingly, of course, by her students who take her classes on creative and ambitious goal setting, building your profile and advocating for yourself. The Private Sector Network is open to all AFTA members who are interested in programming related to the intersection of arts and business. Conference calls serve as a way for members to connect regularly, learn about initiatives that engage the private sector and learn from colleagues. The Private Sector Network is open to all Americans for the Arts Members who are interested in programming related to the intersection of arts and business. Network calls serve as a way for members to connect regularly, learn about initiatives that engage the private sector and learn from colleagues. Bill has served the Denver community for over 20 years as a successful business owner, two-time Lakewood Colorado Planning Commissioner, volunteer, and activist. In those 20+ years, he chaired numerous task forces on economic development, community planning and land use. In 2011, the West Colfax Business Improvement District was created via petition and subsequent special election. Bill was appointed as its CEO and Executive Director with the goal of turning the West Colfax Corridor into one of the best places to live and work in the Denver Metro area. Bill agreed to accept this responsibility, but many believed that this transformative project was impossible. Bill started as an English teacher, who would become an entrepreneur who built a broad career in the publishing, development, technology and professional service sectors. Bill has received the 2015 Colorado Business Committee for the Arts Leadership Award. 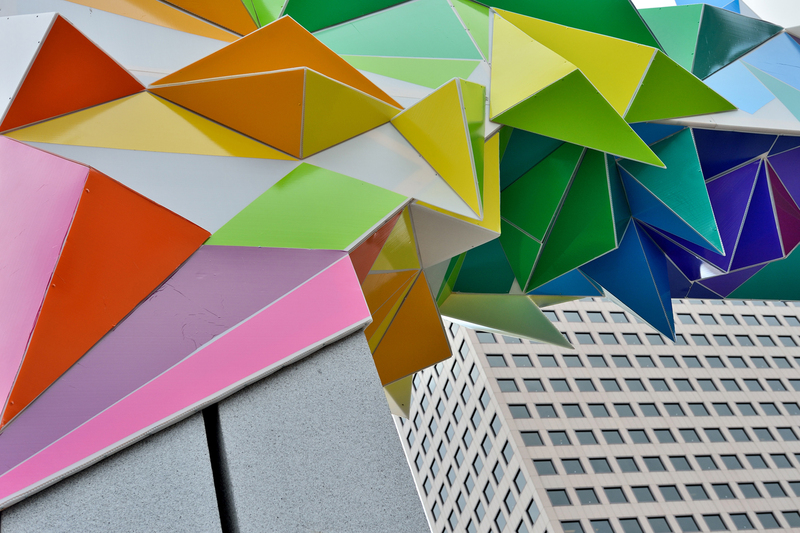 The 40 West Arts District was awarded the Inspire Award in 2016 by the Urban Land Institute. In 2018, Bill received the Steve Burkholder Diamond Legacy Award from the West Chamber of Commerce. Margaret is Director of Colorado Creative Industries (CCI) in the Governor’s Office of Economic Development. She was appointed in 2013 by Governor John Hickenlooper following a national search. CCI advances creative economy strategies and administers a nationally recognized Creative District Program, the Space to Create initiative (affordable live/work spaces for creative sector workforce in rural communities), a Creative District Community Loan Fund, Art in Public Places and grants for career advancement for creative enterprises throughout Colorado. Margaret brings experience in community and economic development from both the private, for-profit sector as well as state and local government. She served as Director of Community & Economic Development for a large energy company and managed global business development. She was appointed Director of Community & Economic Development for Salt Lake City in 2001 overseeing seven departments including planning, housing, business licensing, engineering, transportation, special events and the arts. From 2005 to 2013, she served under Governors Jon M. Huntsman and Gary Herbert as the Executive Director of the Utah Arts Council and Division of Arts and Museums. She also served as a loaned executive for the Salt Lake Olympic Organizing Committee. Jessica is the Private Sector Initiatives Program Manager with Americans for the Arts. Prior to this position, she acted as the Membership and Resources Manager for the Nonprofit Association of Oregon (NAO), providing oversight of NAO’s statewide membership program while curating and reinventing its online platform of nonprofit management best practice resources. Prior to NAO, Jessica spent nearly five years working with Portland’s local business committee for the arts, Business for Culture & the Arts (BCA), delivering programs that engaged employees from BCA’s 200+ business members, managing all marketing and communications strategies, and retaining and cultivating corporate and community partnerships. Jessica has also served in development roles at Metropolitan Youth Symphony and Literary Arts; and has freelanced as an independent web designer and developer. This webinar will feature Government Affairs staff to give a recap of the 2018 Mid-Term Elections and what the results could mean for the arts at the federal and state level.